A 90 per cent success rate was achieved with this method applied for the first time for treating reflux, a nightmare for 25 per cent of the Turkish population . Underlying the fact that the treatment is permanent, Prof. Dr. Cengiz Pata added: “It is a method which with we could gain more resistant and long-term successful results. I believe that we will prefer it more in the future. We do not tell every reflux patient “come and let us treat it”. Many symptoms may be similar to reflux, but it is important to decide on the final diagnosis. Therefore, it is necessary to do the right gastroscopy, a right PH-meter test and a manometri test if required. If there is a reflux diagnosis after all these tests, then it is time to apply the right treatment. First we need to choose the right patient and then we apply the best treatment”. 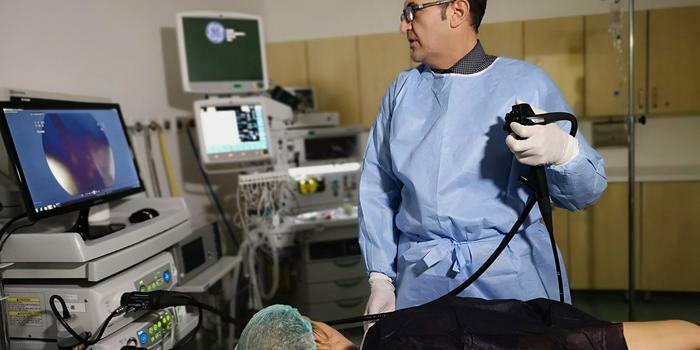 Prof. Dr. Cengiz Pata, saying that the treatment is very easy for the patient, explained that: “We first of all sedate our patient through giving light medication as if s/he comes for endoscopy. We enter the throat with a little wider pipe during the process. It is a treatment lasting 45 minutes to 1 hour with general anesthesia. After the treatment, the patient will be observed for 4 to 6 hours. If everything is fine, the patient is discharged from the hospital. The patient may have only a sore throat during that day”. WHAT ARE THE REASONS OF REFLUX? Prof. Dr. Cengiz Pata told that esophageal reflux is like an epidemic disease and continued: “It can be seen in every fourth person of our society. It is a serious health problem and why do we see it more often? For sure, we need to do wide epidemiologic research to answer this question. However, obesity is a serious problem and we all gain weight. When we look at Europe, Turkey is the number one among these countries. Obesity is affecting reflux problems at first. We do not save time for activities or sports. Besides that, our eating habits have changed, and we consume dried food that can be described as fast food more than classical dishes. We all know that these foods increase reflux. The most important precaution is eating often but less in quantity. You even have to be careful when drinking water. It is important to eat light food during dinner. You should stop eating two hours before you go to sleep. It helps patients feel comfortable if they sleep with a little higher pillows”.